Cat #20479 | I Want To Draw a Cat For You! 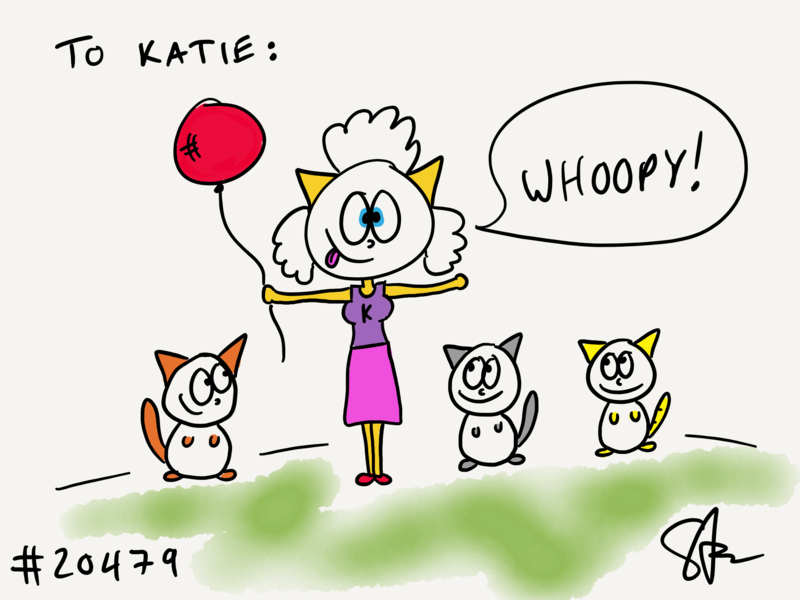 Katie wanted a cat celebrating her birthday with her three pet cats, Jazzy, Milo, and Squirt! Whoopy!